There is a rumor that makes people believe that Jean-Eudes Maurice will be included in the team to play Antigua and Barbuda on November 11 and 15 for the deciding game. Some football fans and followers of the Haiti national soccer team think this would in fact be a good thing for the team. 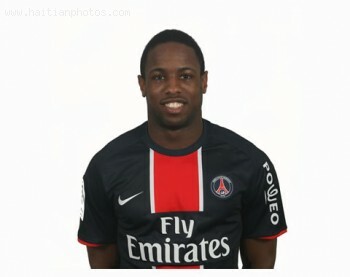 If this happens, Jean-Eudes Maurice will join other Haitian players currently playing at an international level. By that I mean to say players like Johny Placide and Stewart Céus. We also heard other names who are as talented as well such as Réginal Goreux, Kim Jaggy, Jean-Jacques Pierre, Frantz Bertin, Peterson Joseph, Judelin Aveska, Jean Sony Alcénat, Hérold Charles, Jean Eudes Maurice and Kervins Belfort.